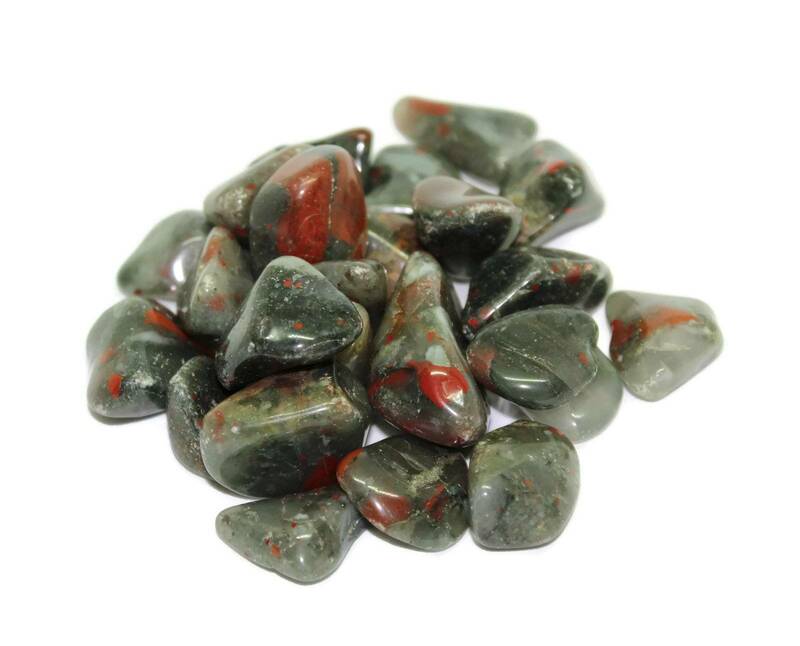 Lovely tumbled Bloodstone pieces, available in a few different sizes! 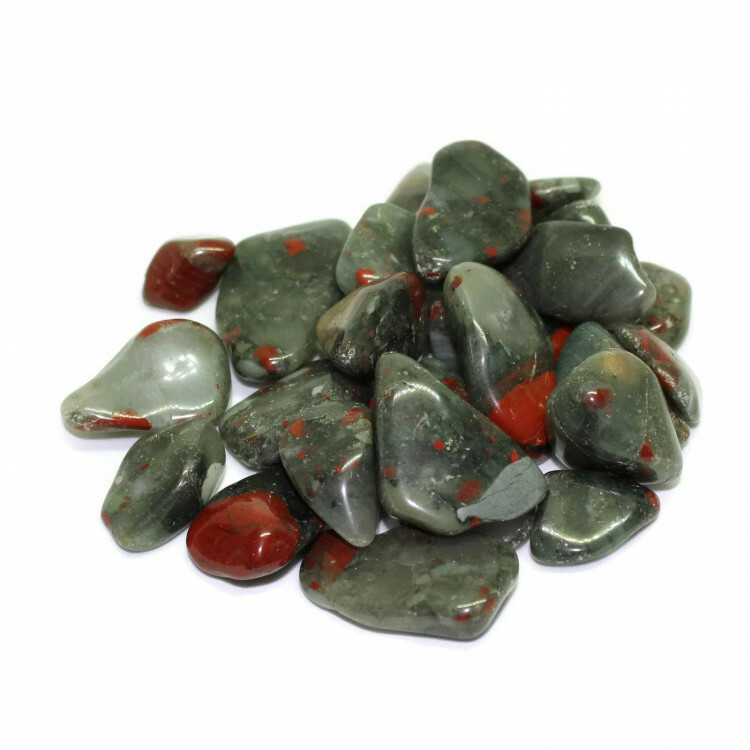 These are lovely Bloodstone tumblestones, a decent grade of the stone. Typically they are a browny green stone with red spots – ‘blood drops’ on the surface of the stone, as it were. These stones are a good contrasting stone against lighter things – they make nice gravel for tanks, aquariums, terrariums, etc. Available in a few sizes, from 10-15MM all the way up to larger stones. 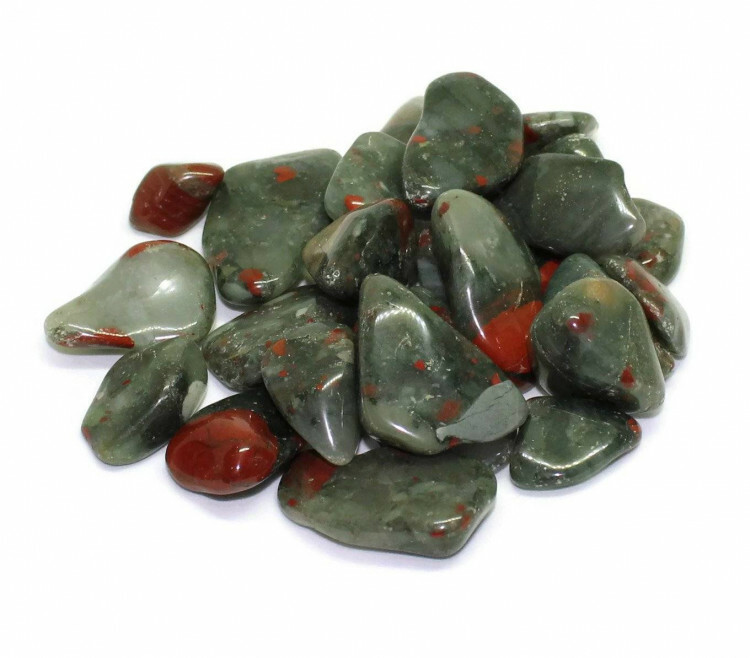 We sell other Bloodstone products, including larger tumblestones – for more information about the stone, and a list of our other products, visit our Bloodstone page. 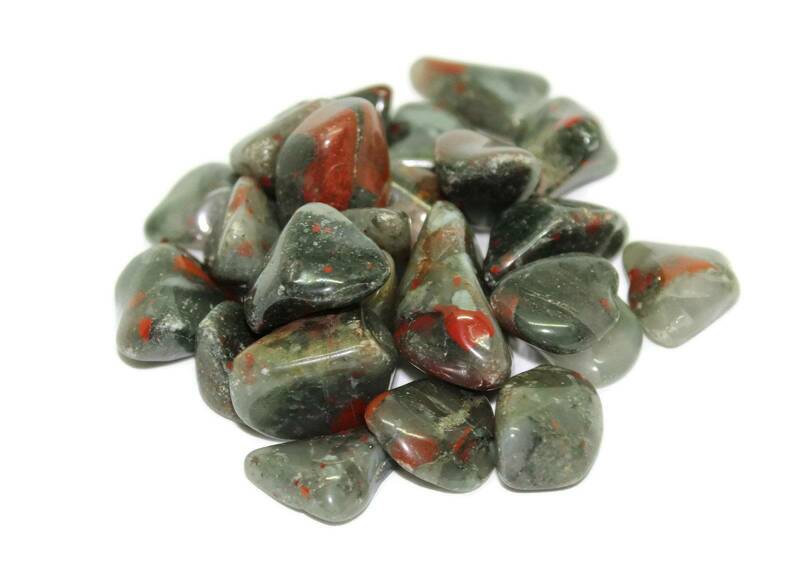 We don’t just sell Bloodstone, either, we have a range of hundreds of different tumblestones.